As much as I appreciate my formal training, the best lessons of all — the ones that really got my attention and took hold — have come from the young people I’ve been privileged to serve. These lessons can be condensed into two practical principles of school-based counseling: 1) Involve students and 2) build solutions from strengths and resources. As further testimony to the expertise of my youthful teachers, these two strategies are strongly supported by mountains of empirical research in counseling and psychotherapy. More specifically, research indicates that counseling outcomes depend largely on the quality of the client-counselor alliance, the client’s hope for a better future and the extent to which the client’s opinions, values, strengths, social supports, life experiences and other “client factors” are incorporated into counseling. 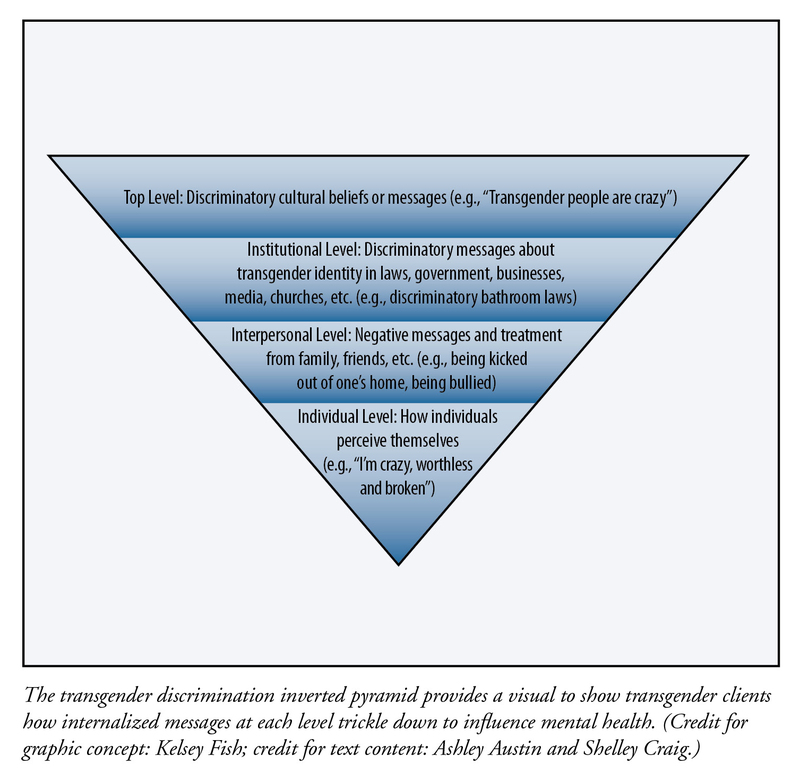 This article translates these findings and principles into the following steps and techniques of solution-focused counseling, a practical and culturally sensitive approach to helping young people change with dignity. The client’s perception of a strong client-counselor alliance is the most reliable predictor of successful outcomes, and client involvement is the key to a strong alliance. The more involved students are in their own counseling, the better the outcomes. The following techniques help to strengthen alliances and improve outcomes in solution-focused counseling. Compliment students. Anything we can do to boost students’ hope will improve outcomes, which is why compliments are an important part of solution-focused counseling. Compliments help to reframe students’ views of themselves and their circumstances, and they are often folded into questions in solution-focused counseling. For example, asking a student who complains of being stressed out and depressed, “How have you managed to juggle so many things for so long?” invites a more hopeful and empowering self-perception. Students can be complimented for attending counseling sessions (“It takes courage to meet like this”), cooperating in the conversation (“I appreciate your help and patience in answering my questions”) and trying to improve their lives (“With all you’ve been through, where do you find the strength to keep on trying instead of giving up?”). Fit counseling to students versus students to counseling. Just as a tailor adjusts a suit to fit the owner, we need to customize counseling to each student rather than requiring students to conform to our favorite ideas and methods. This means incorporating students’ key words and phrases into the conversation, exploring their theories and opinions, and determining what they want from us and our services. Another way to fit counseling to students is to explore their opinions about the problem and potential solutions. This can be done through asking questions such as, “What needs to happen to improve things at school?” and “If you were counseling people in a similar situation, what would you advise them to do?” A student’s ideas about the problem and its possible solution can be cobbled into interventions that are more likely to be accepted and implemented by the student than interventions that come from other sources. Obtaining feedback from students is another way to ensure the provision of student-driven rather than counselor-driven services. The Outcome Rating Scale and Session Rating Scale — two four-item client feedback scales that take one minute to administer and score — provide ongoing snapshots of students’ perceptions of counseling progress and alliance. Collecting feedback from clients during every meeting, and adjusting services based on this feedback, has been shown to dramatically improve counseling outcomes regardless of one’s theoretical orientation. In addition to providing students with a sense of hope, purpose and direction for the future, goals help them persist in the face of setbacks and obstacles. Effective goals share several characteristics that can be summarized in the 5-S guideline: significant, specific, small, start based and self-manageable. rather than away from what they don’t want (problems). Instead of emphasizing what is wrong, missing and not working (problems, deficits, limitations), solution-focused counseling invites students and others to notice and build on what is “right” with students and their lives (successes, strengths, resources). Build on exceptions. Struggling students typically are aware of their failures and problems at school, which is one reason why building on exceptions is so effective in grabbing and keeping their attention. Exceptions refer to the “good times” at school — times when the problem could have happened but did not. These nonproblem occasions are minisolutions that are already happening, just not as often as people would like. Building on exceptions is a core technique of solution-focused counseling that involves three steps: 1) eliciting exceptions (“When is the problem absent or less noticeable?”), 2) exploring the conditions under which exceptions occur (“How did you make that happen? What was different about your approach?”) and 3) expanding their presence and frequency at school (“What will it take to make that happen more often at school? Are you willing to try that approach in another class?”). This strategy is based on the practical idea that it is more efficient to increase what students are already doing than it is to teach them brand-new behaviors from scratch. Build on other student resources. In solution-focused counseling, all students are viewed as resourceful and capable of changing. It is our job as counselors to help them identify and apply the “natural resources” in their lives toward school solutions. Natural resources include heroes and influential people (family, friends, actors, athletes); resilience and coping (students’ abilities to cope with life’s adversities); values (students’ deeply held beliefs); special interests (cooking, sports, movies); and community support systems (places of worship, neighborhood groups, clubs). These resources, individually or in combination, can be woven into respectful interventions that improve school behavior while respecting students’ cultural heritage and life experiences. Let’s look at a quick example involving Ben, a 10-year-old student who loved baseball. After a few minutes of general baseball talk, we explored similarities between the challenges of school and the challenges of baseball. For instance, we talked about how long the baseball season is and how important it is to not let a few bad games ruin the entire season. Ben agreed to try a baseball experiment at school that involved “stepping up to the plate every day” and doing his best, knowing that he would sometimes “strike out” and have bad days. Ben improved his classroom behavior over the next two weeks, and his teacher commented on his impressive turnaround. This example captures the general nature of building on student resources — identify an available, naturally occurring resource in the student’s life and link the resource to a school solution. Because every student offers a unique set of resources, resource-based interventions are constructed one student at a time with no preconceived notions about what they should look like. You are not likely to find them in treatment manuals or lists because a) they cannot be selected or developed before meeting the student, b) they evolve from the student-counselor relationship and are often formulated on the spot in collaboration with the student and c) they are based completely on material supplied by the student — which is precisely why they work so well. I describe these techniques and many others in greater detail while offering more than 50 real-world illustrations in the new third edition of my book Solution-Focused Counseling in Schools (2015), published by the American Counseling Association. Solution-focused counseling rests on two main values. First, students should be given every opportunity to be actively involved in their own care because they are the very people for whom school-based counseling services are designed. In addition to honoring core principles of multiculturalism and social justice, giving clients a voice in shaping and evaluating counseling services results in better outcomes. Second, all students are doing “something” to help themselves — if only to keep the problem from getting worse — and these assets and resources can be applied toward school solutions. Without denying the reality and pain of school problems, we can improve outcomes by identifying students’ strengths and resources and incorporating them into the counseling process. I hope this article was successful in showing that solution-focused counseling in schools is far more than a set of techniques. It is instead a new and different way to approach young people, problems and solutions. John J. Murphy, a professor in the Department of Psychology and Counseling at the University of Central Arkansas, is the author of several well-regarded books, including the third edition of Solution-Focused Counseling in Schools, published by the American Counseling Association. Contact him at jmurphy@uca.edu and learn more about his work at drjohnmurphy.com. One of the many reasons solution-focused counseling is a good fit for school settings is because it’s a client-directed approach, says John Murphy, a longtime school psychologist and author of Solution-Focused Counseling in Schools. School counselors often find the bulk of their time consumed with noncounseling tasks. When they are able to meet with a student, using a solution-focused approach provides a customizable way to forge a therapeutic bond with the young person in a short amount of time. Solution-Focused Counseling in Schools was originally released in 1997; the American Counseling Association published a third edition of Murphy’s book earlier this year. In the book’s introduction, you write “schools are not set up to accommodate counseling.” Can you elaborate on what you mean by that? This is not a criticism, merely an observation that the main purpose of schools is to teach reading, writing, math and other important academic skills. Unlike mental health centers and private practice settings where counseling is the main focus and the physical setting reflects that focus, school settings present some unique challenges for counselors. These challenges include working around students’ and teachers’ busy class schedules, safeguarding client confidentiality and conducting “counseling sessions” whenever and wherever you can — in the lunchroom, on the playground, talking with a parent by phone or walking alongside a student or teacher in the hallway. This requires a lot of flexibility on the part of school practitioners. But let’s not forget that there are advantages to school-based counseling as well. In addition to offering instant access to students and teachers, schools provide a natural and familiar setting for students and parents who might otherwise have to leave their community and travel long distances to receive services. For these reasons, and the fact that we know more than we ever have about helping people change, I ended the new edition of Solution-Focused Counseling in Schools by stating that there has never been a better time to be a school-based counselor. From your perspective, what makes a solution-focused approach effective in helping elementary through high school students? How is it a “good fit”? For starters, solution-focused counseling (SFC) is a clear and practical approach that makes sense to students, caregivers and counselors. Research tells us that people are more likely to benefit from counseling approaches that make sense to them, that respect their input and goals, and that customize counseling to them rather than requiring them to conform to the counselor’s preferred methods. SFC meets all of these criteria, which explains why it is effective with students of all ages. Although solution-focused counselors validate problem-related experiences and struggles, they gently invite students to take action instead of spending a lot of time analyzing the problem. The “less talk, more action” nature of SFC seems to appeal to students as well as school counselors, who have very little time to do counseling in the first place. Another reason SFC works with students is because it grabs their attention as “something different” rather than more of the same. Most students with school problems are well accustomed to problem-focused conversations with adults. 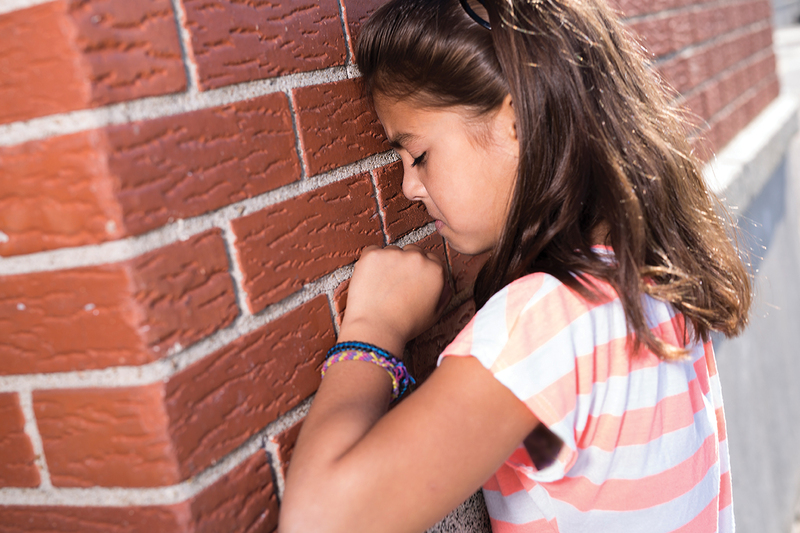 These well-intentioned conversations emphasize what is wrong with students, with little or no attention to what they are doing well, which may include coping with a problem or preventing it from getting worse. In contrast, solution-focused conversations seek out students’ strengths and resources and explore how these assets could be applied toward solutions. In my experience, conversations that recognize and build on what is right and working with students engage their participation more effectively than “more of the same,” problem-saturated discussions. The solution-focused approach fits with school counselors as well. In teaching classes and workshops throughout the U.S. and overseas, counselors often tell me that the solution-focused emphasis on “doing what works” as quickly as possible is more practical than cumbersome, time-consuming approaches that don’t fit well for schools and school problems. Building on students’ strengths also appeals to counselors’ desire to empower, energize and encourage people. The fact that solution-focused counseling accommodates a variety of cultural backgrounds and life experiences is another important feature in today’s increasingly diverse world. Most people, including myself, signed up for this business to lift people up, and SFC fits nicely with this goal. What prompted you to do a third edition of this book? What’s new and different in this edition? Though many of the basic ideas and techniques of SFC have been carried over from previous editions, several aspects of my approach to SFC have changed since the previously published second edition in 2008. 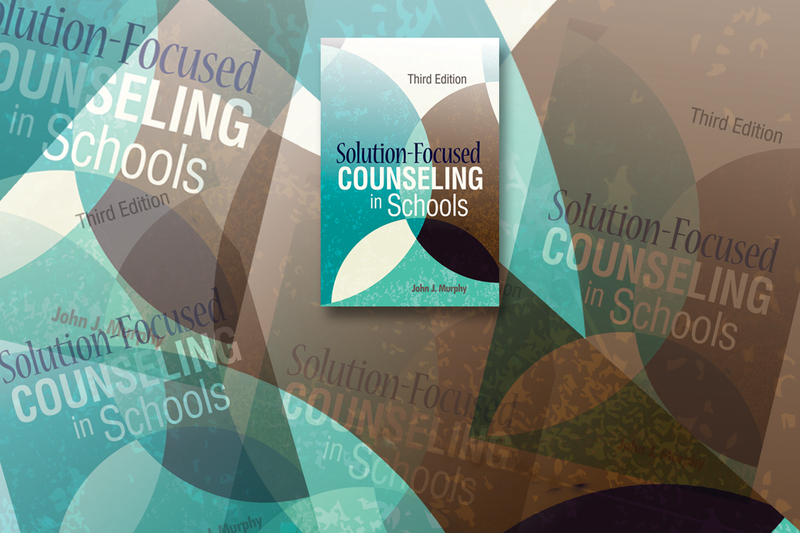 Research continues to clarify specific elements of effective counseling, all of which are incorporated into the new edition of Solution-Focused Counseling in Schools. These elements include the importance of building a strong counselor-client alliance and of collecting ongoing client feedback. The third edition has new chapters on topics such as the restrictive influence of problems and practical strategies for developing “goals that matter,” as well as additional practice exercises at the end of each chapter and a widely expanded chapter on innovative ways to use solution-focused strategies in group counseling, classroom teaching, peer helping programs, parent education, consultation with parents and teachers, systems-level change and referral forms. I also included new appendices with examples of solution-focused checklists and referral forms, therapeutic letters to students of all ages, scripts for introducing client feedback tools and handy crib sheets for conducting SFC sessions. What is a main takeaway you want counselors of all types, including nonschool counselors, to know about the importance of solution-focused counseling in school settings? The main takeaway is that the ideas and techniques in this book are “value added.” A value-added technique adds value and impact to whatever it is combined with, making everything else you do with clients more effective. Examples of value-added techniques include obtaining client feedback, giving compliments, validating students’ experiences and exploring exceptions to the problem. The beauty of these techniques is that there are no risks or downsides to using them. The worst thing that can happen is that the person does not respond and nothing changes, at which point you simply move on to something else. Even then, value-added techniques can enhance the alliance by conveying respect for people’s input, wisdom and capability. The bottom line is this: You can use the techniques in this book regardless of your theoretical orientation and regardless of whether or not you consider yourself a solution-focused practitioner. You were a public school teacher and school psychologist for many years. How have you seen the role of school counselor/psychologist change since then? I haven’t seen much of a change in the roles of most school counselors or school psychologists, especially when it comes to the small amount of time they spend in intervention-related activities such as individual and group counseling, parent/teacher consultation and schoolwide prevention/intervention programs. I am not criticizing the professionals who fill these roles, many of whom would like to spend more time on such activities. 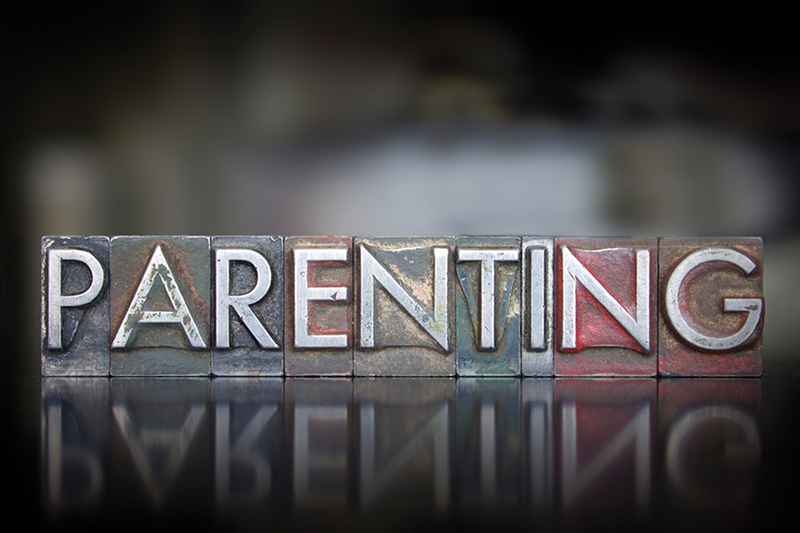 School counselors and psychologists often tell me that they are pulled in so many different directions and saddled with certain responsibilities that leave little time for counseling and other intervention-related services. Unfortunately, the situation will not change in a big way if schools continue to rely exclusively on outside professionals and agencies to provide the bulk of school-based counseling and intervention services. What advice would you give to a new professional who is starting a career as a school counselor? Find ways to stay active, involved and hopeful about your profession and the people you serve. Effective practitioners are continually engaged in professional learning and development. They also find ways to sustain their hope in the midst of the ongoing problems and challenges they face on a daily basis. I would also advise them to make sure that their job description and role includes sufficient time for counseling and intervention activities. Besides your book, what resources would you recommend for school counselors who would like to learn more about solution-focused counseling? There are many more resources on solution-focused counseling with young people and schools than there were when I wrote the book’s first edition almost 25 years ago. An Internet search of “solution-focused counseling in schools” will yield various articles and chapters. The Solution-Focused Brief Therapy Association’s website (sfbta.org) contains general information about SFBT. I also maintain a website on solution-focused and strengths-based practices in schools that has a variety of links and additional information about solution-focused practice in schools, workshop offerings on the topic and other related topics (drjohnmurphy.com). 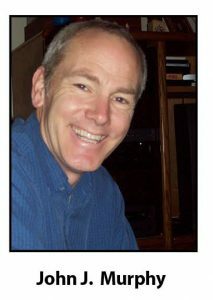 John J. Murphy is a licensed psychologist and professor of psychology and counseling at the University of Central Arkansas. Previously, he was a public school teacher and school psychologist. Nearly everyone has experienced taking a cab ride. The idea of hailing a taxi, asking the driver to go to a particular destination and paying the fare is something to which many people can easily relate. The metaphor of such a journey translates to solution-focused counseling, and this article offers five ideas that can be used to conceptualize counseling from this perspective. 1) Deciding to take a taxi: A person’s decision to seek counseling (that is, to become a client) precedes the hailing of the taxi. According to MentalHealth.gov, fewer than four in 10 adults with a diagnosable mental health challenge obtain professional services. For children and teens, that figure is less than 20 percent. Numerous obstacles can deter the decision. William Miller and Stephen Rollnick’s motivational interviewing approach highlights the notion of ambivalence in taking steps toward change. Meanwhile, a qualitative study published in 2012 by Amelia Gulliver, Kathleen Griffiths and Helen Christensen found stigma to be the most significant barrier to seeking mental health assistance among youth who were elite athletes. Seeking solutions, relief or something positive is the hope in standing curbside with hand raised and asking for help. 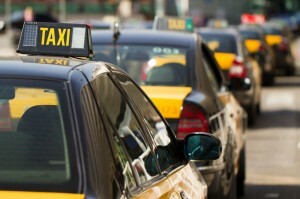 2) Finding the right taxi: The next step is finding an available cab, which can be a difficult endeavor in a busy city. Assuming that a cab stops, what is the first thing that prospective customers do upon entering a taxi? Fundamentally, customers seek safety and assess whether the cab can take them to their destination successfully. Secondarily, customers might evaluate the cab’s cleanliness, scent or the space provided for them. Some observers may even notice the design of the cab. As someone once commented in one of my (Fredrike Bannink’s) workshops, the front windshield is larger than the rear one, signifying that it is preferable to focus forward (that is, on the future) rather than backward (in the past). I (John McCarthy) once waited 15 minutes in a downpour for a cab, only to reject it because of its odor. (The driver proceeded to growl at me.) If the cab is not acceptable, people may exit it as quickly as they entered. 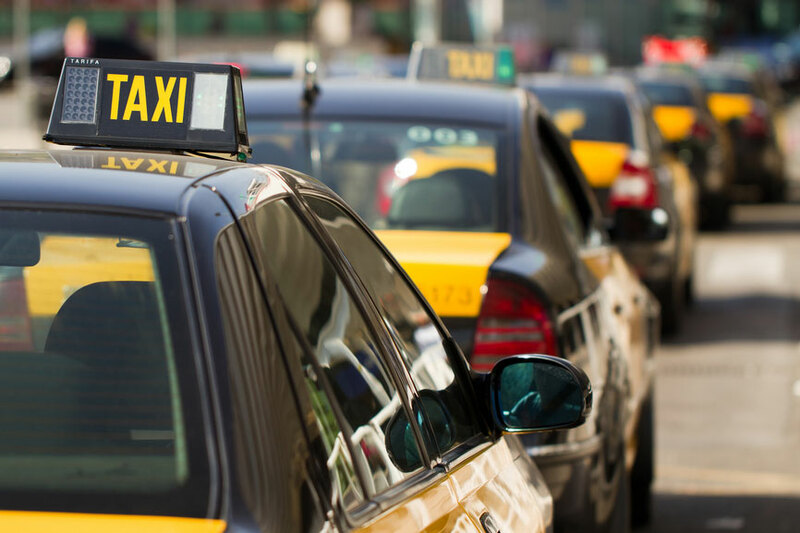 Consider the array of taxis to choose from: rickshaws, compact cars, sedans, luxury vehicles. In a similar way, prospective clients search for counselors (representing the modality of movement in the therapeutic journey) with whom they can collaborate. Whether implicitly or explicitly, they wonder about the safety that accompanies trust: “Can I have faith in this counselor related to confidentiality and competence?” In other words, does this counselor have a valid “driver’s license”? If the fit is not correct, the client may terminate counseling as quickly as that prospective customer exited the taxi. In essence, the solution-focused counselor (cabdriver) has five goals to meet via asking the right questions — helping the client (customer) get to his or her desired destination in a) the safest, b) most pleasant, c) most direct and d) least expensive manner in e) the shortest possible time. 3) Determining the destination: “Where would you like to go?” the cabdriver asks. This query represents the goal-formulation element, set at the beginning of the therapeutic journey, that is critical in solution-focused counseling. Describing the destination — the positive end result — dictates the direction of the solution-focused taxi. The passengers (clients) set the destination because they have the resources to determine the site, while the driver (counselor) brings competency to the process through his or her knowledge of the city and how to take passengers to their destinations in the best possible way. We live in worlds that our questions create. The questions we ask determine what we find, and what we find determines our behavior as counselors. Asking questions is an important technique in solution-focused counseling. Solution-focused counselors are not knowing — they ask questions to elicit the clients’ expertise instead of giving advice — and they lead from one step behind. If the passenger said, “I don’t know where I want to go,” the cabdriver might be baffled, sitting in the driver’s seat and wondering how to proceed. The driver could simply drive, hoping to get the passenger to the desired destination in some haphazard way, but the odds of that are quite slim. The likely result would be a dissatisfied customer. If the passenger said: “I don’t want to go to the airport,” the cabdriver would ask, “So where DO you want to go?” Nondestinations are of limited benefit to cabdrivers and their customers because they merely indicate the places where the ending point isn’t. In reality, however, clients may not yet know their goal upon coming to counseling. In their mind, something needs to be changed, but what that something is may be unknown. They know only one thing: what they want to get away from. An overly eager counselor may respond, “I understand that you don’t know where you want to go yet. Let’s get started anyway.” But where and how to proceed? If the client relates, “I just don’t want to be depressed anymore,” the starting point is a negative goal. As Steve de Shazer indicated in 1991, the idea of stating negative goals is one way to ensure therapeutic failure. Rather, the cabdriver could ask, “What do you know about your destination?” Elements of what the destination is like can be helpful in finding the direction. I (Fredrike Bannink) once heard the story of a passenger in Asia who got in the taxi at the airport but didn’t know the name of the hotel where he had a reservation. Yet because he knew the vicinity — a conference center somewhere near the city — the driver was able to look up the hotels in that area and began naming them aloud. Eventually, the customer exclaimed, “Yes, that’s the one!” The idea of linking the preferred future — the destination of the client — to the current location is instrumental in solution-focused counseling. The idea of having or inviting other people in the taxi with the main passenger is an intriguing notion. Perhaps they are in the front seat, the back seat or even metaphorically squeezed into the glove compartment. These fellow passengers may represent the main passenger’s (client’s) support system, which could include family members, partners, friends and key advocates at school or work. While they do not tell the main passenger where to proceed, they are along for the counseling ride in a helpful, encouraging manner. Sometimes another person wants to determine or even does determine what the destination should be. Solution-focused counseling conceptualizes the alliance as a customer relationship, a complainant relationship or a visitor relationship. In a customer relationship, clients see themselves as part of the problem and/or the solutions and are motivated to change. In a complainant relationship, clients acknowledge a problem and suffer from it but do not see themselves as part of that problem and/or the solutions. They may think someone or something else should change. In a visitor relationship, clients are mandated and may view themselves as problem-free. From their perspective, it is others who have the problem regarding them or who falsely perceive them as the problem. Clients in a visitor or complainant relationship could well get some guidance from another significant figure in their life regarding what change in behavior is desired or necessary. The eighth-grade student referred to the school counselor may give a curt, “I have no clue why I’m here,” but the English teacher might. In a similar way, the adult in a drug rehabilitation program may express astonishment at being sent to counseling, but the probation officer may have a clear notion of why that happened. Meanwhile, clients in couples therapy may want the other person to change. 4) Making progress: How will the cabdriver and passenger know whether they are driving in the right direction? Charles Snyder’s hope theory states that hope is like a journey: a destination (goal), a road map (pathway thinking) and a means of transport (agency thinking) are needed. Research on the subject of hope has shown that it is important to have a goal and ways to reach that goal. Solution-focused counseling encourages clients to develop a detailed vision of what their lives might be like when their problems are over and to make a “mental road map” of how to get there. The emphasis is on inviting clients to create the vision by drawing on their own frames of reference by listening for openings in sometimes problem-focused conversations. This fosters hope and motivation in clients and promotes self-determination. Another way of knowing that the cabdriver and passenger are making progress is to evaluate the process and invite the passenger to give feedback from time to time. Is the client progressing toward his or her preferred future? If not, what should be done differently? Solution-focused counseling is based on two assumptions: If something works (better), do more of it; and if something is not working, do something else. The metaphor of the solution-focused taxi offers a constructive vision of what solution-focused counseling can look like. Deciding to take a taxi, finding the right one, determining the destination, making progress and ending the ride are all parts of the metaphor that make it easy to utilize. This metaphor may serve to change the focus of counseling and how counselors work in helping people to change. Fredrike Bannink, a clinical psychologist and master of dispute resolution, is an international author, speaker and trainer in Amsterdam who specializes in solution-focused counseling, positive psychology and cognitive behavior therapy. Visit her website at fredrikebannink.com. John McCarthy is a professor in the Department of Counseling at Indiana University of Pennsylvania. Contact him at john.mccarthy@iup.edu.